Mostly dirt path starts across the street from Marymoor and winds uphill under a green canopy of trees to a local park. Eventually this trail leads all the way to Bridal Trails State Park, and it is used by equestrians as well as hikers and mountain bikers. 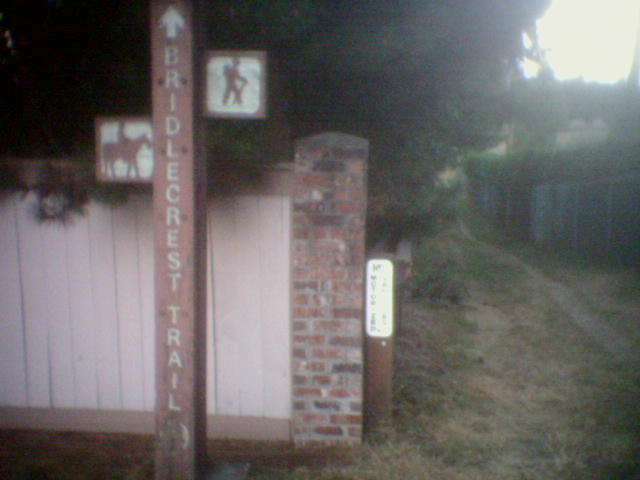 The trail is in 2 sections with low traffic roads connecting. The east section starts up a 15% grade that mellows to 5% or so in the first few tenths of a mile. The trail is wide here with a dirt/ thin beauty bark surface w/ the occasional horse turd. It unceremoniously dumps the rider out in the back end of a city park. Ride straight out across the grass to the street, turn right, then turn right again on 156th. Immediately turn left on NE 60th St and follow the bike lanes to the school where the trail resumes at 152nd Ave NE. This segment of trail narrows to a singletrack. There is a short though bearable hill up to 148th. Then till 140th it is reasonably flat. 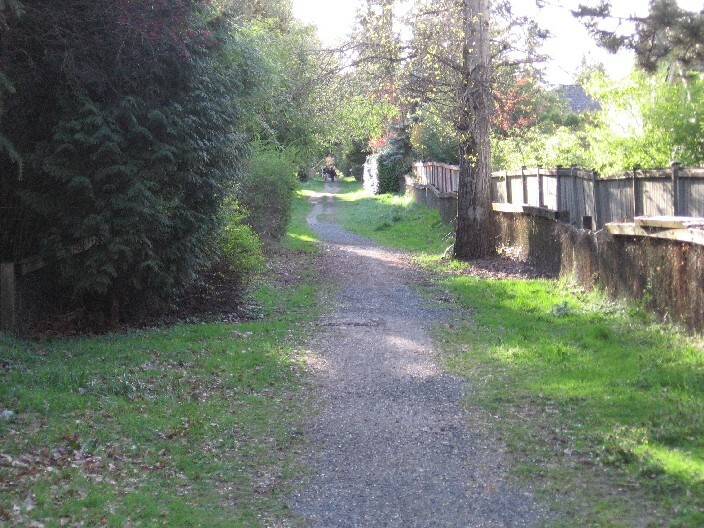 The section west of 140th Ave NE has steep - 26% grade! (though short) hills and a narrow singletrack that make biking difficult. 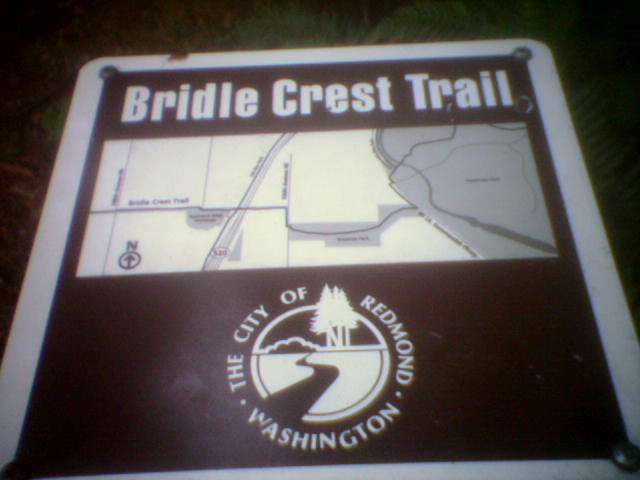 Finally you end up at the trailhead on 132nd Ave NE. 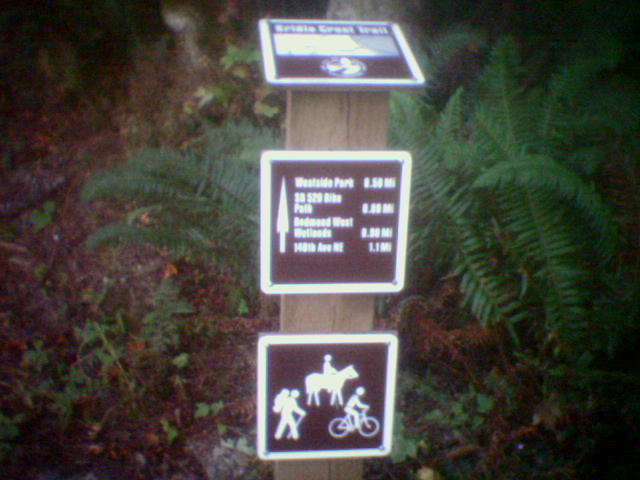 You will probably find west to east travel easiest on this trail. City(s): Redmond, Bellevue, Kirkland, WA Length: 2 miles. 1. 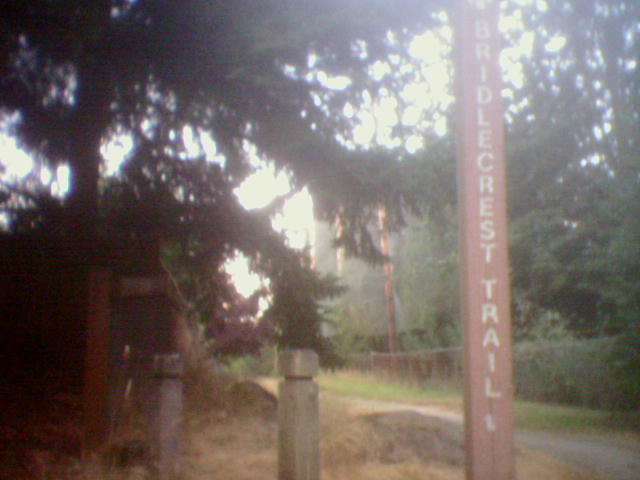 Trailhead is near the end of the Sammamish River Trail, across West Lake Sammamish Parkway and just south of Marymoor Park west gate. 2. Crosses over SR 520 Bike Path at NE 60th St. Entrance to SR 520 Bike Path is on the south side of 60th just west of 520. 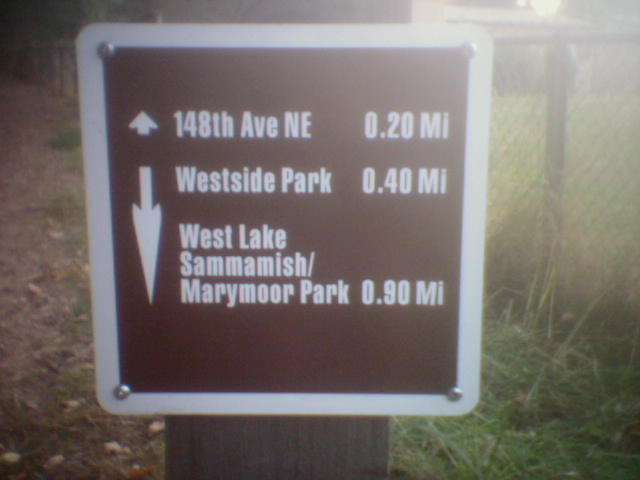 Directions: From Marymoor Park, exit through the west gate and turn left on W. Lake Samm. Parkway and look for trailhead in 1 block. East end is at the corner of NE 60 St & 132nd Ave NE.